Today, Mexicans will go to the polls to elect their next president (alongside members of the Senate and Chamber of Deputies). After a closely fought campaign, veteran left-wing populist Andrés Manuel Lopez Obrador, deemed by some to be the Mexican Jeremy Corbyn, is the clear favourite to win. Aged 64, Obrador (or AMLO as his name is often abbreviated to) began his political career in 1976 as a local leader of the Partido Revolucionario Institucional (PRI) in the southeastern state of Tabasco. Fast forward to 1988, and AMLO left the PRI to join the Frente Democrático Nacional along with a number of other leftists as the PRI became increasingly fragmented along ideological lines and over issues of internal reform. Obrador later continued to switch allegiances, becoming President of the Partido de la Revolución Democrática (PRD) in 1996 and then Mayor of Mexico City between 2000 and 2006. He has run for President on two previous occasions – in 2006 and 2012. Since 2015, López Obrador (above) has headed the Movimiento Regeneración Nacional (abbreviated to Morena). Formed in 2014, the party has risen to prominence amid increasing public disillusion of the PRI and current President Enrique Peña Nieto, who have held power since 2012. The current head of state has been deeply unpopular for much of his term due to the corruption scandals which have dominated his party and his inaction on issues such as corruption within politics and public bodies. His popularity took a further nosedive when he met Donald Trump at Los Pinos (the Mexican Presidential palace) and offered little more than passive resistance to his comments on Mexicans, merely terming them as ‘misunderstandings’. 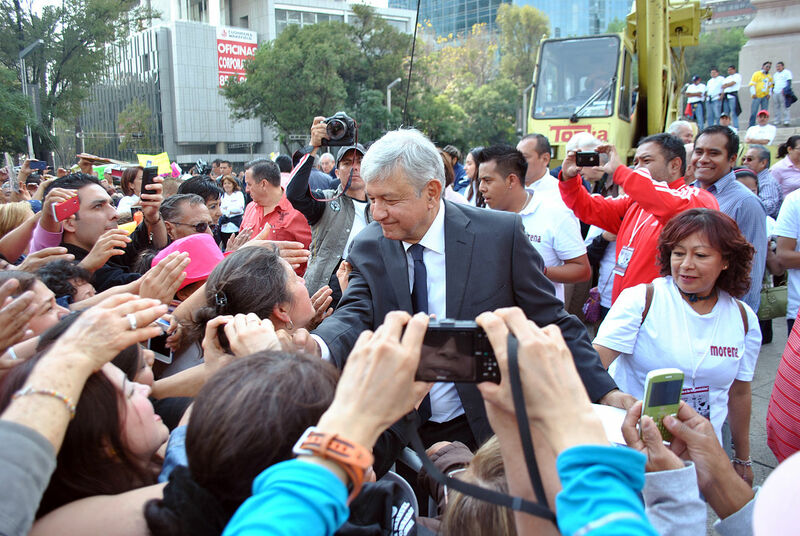 The surge in support for AMLO, particularly among younger generations, comes at a time when scepticism regarding politics in Mexico is on the rise. While electors aged between 18 and 29 represent 29% of the nominal list of voters in Mexico for this election and around 15 million of these will have the opportunity to vote for the first time today, the political participation of this demographic is generally lower than the average across all age groups. While Obrador, who leads polls by an average of 18 points, now looks almost certain to win, how he would govern remains uncertain. As his historical allegiances to a number of ideologically divergent political parties show, AMLO has a somewhat Machiavellian nature and is often viewed as a political opportunist. 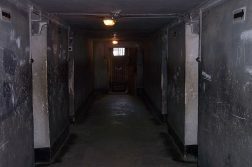 Throughout the presidential campaign, his opponents have criticised both this and his lack of consistent policy position. For example, it’s been repeatedly reported that AMLO has declared his support for or opposition to a particular policy position only to have his staff say the opposite, such as his promise to end pro-market energy reforms, which was rejected by his economic advisers. AMLO’s strongest opponent appears to be Ricardo Anaya (pictured below) from the centre-right Partido de Acción Nacional. His consistent campaign message has been that he’d protect Mexico from the uncertainty and inconsistency of an AMLO presidency, a message used successfully by both previous PAN candidates and the current President, Peña Nieto, when he was elected in 2012. Yet, he’s divided PAN supporters by using his position as PAN President to manipulate primary rules and undermine the candidacy of rivals such as lawyer and former Mexican First Lady Margarita Zavala – one of the most popular candidates among PAN supporters, who early polls suggested could have gathered the strength to defeat AMLO. In October 2017, Zavala resigned from the PAN to run as Mexico’s first independent female presidential candidate. She accused Anaya of ‘co-opting the institutions of the party’ and said that the candidate selection process hadn’t been fair. Although she dropped out of the running in May, her name will appear on ballot papers as these were printed before her withdrawal. Contrary to what Anaya may have expected, her supporters didn’t rally behind or return to the political platform of the PAN. The fact that the coalition of parties supporting Anaya includes AMLO’s former party, the PRD, hasn’t helped matters, as centre-right voters who’d traditionally support the PAN have been discouraged as a result. José Antonio Meade, an experienced technocrat and cabinet official who’s the candidate of the governing PRI, has also suffered due to President Nieto’s and the party’s unpopularity. Despite this, polls show that the anti-AMLO vote is almost evenly split, as Anaya is only narrowly ahead of Meade in recent polls. This division of the right has favoured Obrador all the way through the campaign process, and is likely to be one of the key reasons why he’ll be decisively elected later today.